I’ve spent quite a bit of time these last few days telling you to ignore the inner editor. She is detrimental to self-discovery. Organized rational thought is of little consequence at this point in the writing process. When you journal to explore your thoughts, feelings or anxieties, there is no concern for proper grammar, spelling or punctuation. Getting words on the page is the priority. After all, this writing is for your eyes only. However, if there comes a time when you choose to share your writing with others, you may wish to revise the rough draft into a more readable copy. This is the time to invite the inner editor to join you in a healthy, critique session. No berating or or self-deprecation allowed. This is simply an opportunity for the two of you to collaborate in a meaningful way. The following are a few writing tips I gleaned as a high school English teacher helping students improve in-class essays. The goal is not perfect writing (for quite frankly, there is no such thing). But rather, to tighten the first draft – remove the rambling and create a crisp final copy that others WANT to read. Redundancy (words): We all have them. A favorite word of phrase that we tend to overuse. While this is generally overlooked in conversation, it is hard to ignore on the written page. As you review the rough draft, take notice of any repeating words. Those used more than couple of times probably have suitable replacements. Mind you, we aren’t looking to show off vocabulary skills (obscure words are more detrimental than repetition) … but see if you can change one or two instances to an appropriate synonym. Redundancy (ideas): Trust your reader. If you write clearly, they will understand your message. You don’t need to beat them over the head. Say what you need to say clearly, succinctly, and with sensory detail, and they will pick up the intended message the first time. It is not the amount of words that matter. Concise and Precise are the hallmarks of good writing. Limit Adverbs: You know… those -ly words that typically describe HOW. The need for adverbs is usually because the chosen verb is weak. For example: instead of “talked softly” use “whispered” … instead of “ran quickly” use “darted” or “sprinted” or “dashed”. This revision takes little thought yet greatly improves the final copy. Le mot juste: a french expression for “just the right word” and I must confess, this is a personal pet peeve. All graduating students knew that Mrs. Totoro would not accept the words get, got, or things on a final draft. Why? Because they are too generic. For example, we do not go to the store to “get” some milk – we buy milk. And a student never “got” an A on one of my tests, they earned it. A snake may crawl in the grass, but a better word might be slithered. You get the idea. Precise language is always preferable. Sentence Fluency (variety of sentence beginnings): Sentence Fluency has to do with the way the writing flows. And fluid writing makes for easy reading. When reviewing the rough draft, check to see that sentences don’t always start with the same word or phrase. One way to combat this issue is to occasionally start with a prepositional phrase or a subordinate clause (too much grammar information? sorry…perhaps that can be the subject of another post). Sentence Fluency (variety of sentence lengths): On a subconscious (or perhaps conscious) level, you are familiar with this rule. Too many consecutive short sentences makes for choppy writing. Too many consecutive long sentences makes the writing ramble. You want to be sure to include a variety of short, medium, and long sentences throughout the piece. This way, the writing flows from one idea to another, and the reader effortlessly follows. Paragraphing: I’m sure you remember from high school English to use one paragraph per thought/idea. This is a good rule of thumb. However… we also need to be mindful of our reading audience. If paragraphs are too long (say more than one-third page), readers only sees a huge block of text. The lack of white space exhausts the eyes, and they are more inclined to skim rather than read. Be mindful of shorter paragraphs and you will entice your audience to read every word. Shorten passage of time: It’s okay to take creative license when writing non-fiction. Yes, we must honor the truth of the message, but we are allowed (encouraged) to edit for the sake of the narrative flow. The key to maintaining reader interest is to keep the action moving forward. One way to do this is to focus on one event at a time. Don’t feel compelled to document everything that happens within a certain time period. Another way to propel the story forward is to skip insignificant details. Don’t document every moment if nothing compelling happens. Simply indicate the passage of time and continue with the story. Show don’t Tell: the mantra of all writing how-to books. What does this pithy saying mean? Simply… use sensory detail when possible. Rather than saying it was cold outside (telling), show the effects of weather: chattering teeth, blustery snow, icicles forming on the windows. Or rather than saying he was angry, show anger by describing facial features (a scowl or pursed lips), stomping feet or clinched fists. Please consider these writing tips as mere suggestions. Do not allow the list to overexcite the inner editor; she should be helpful, not condemning. Let go of her idea of perfection and simply tell your story the best way you know how. These are useful editing tips for all kinds of writing. In the academic editing I do in my day job, the two most frequent changes I make are paragraphing (scholars love long, dense paragraphs) and sentence variety. Too much of the same thing will feel plodding. Thank you for these tips. I am notoriousLY guilty of over-using adverbs. LOL. I need to work on that. "feel like plodding" … I LOVE that description, Laurel, and wholeheartedly agree! “Le mot juste” or “just the right word” I like that. This is a very helpful post, and I love writing tips especially ones for editing. Another tool that I have found helpful is the use of transitional words. They are great for flow, fluidity, and the overall wholeness of a piece. Great post, thanks for sharing. YES! Transitional words are invaluable to the gentle flow of the piece. And I think this is one area where new writers flounder a bit. I struggled selecting which tips to include… I didn't want to overwhelm the new legacy journaler, and yet at the same time, I wanted to offer assistance where desired. I love this addition to the list though – thanks so much!! Fantastic post! I wish I could remember your checklist every time I write (without having to go back and read it time and time again). I am especially bad about using the same words over and over again. One tip a college teacher once gave me was that no paragraph in any papers in her class should start with the same word. Very useful tip! I also like the French "just the right word". Another concept I struggle with. 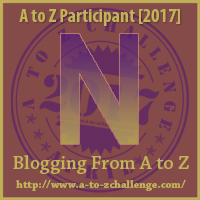 Hopefully this post will remind me of what not to do as we continue toward the end of A-Z! Thanks for sharing! I am not a native English speaker / writer, therefore I am certainly guilty of using simple vocabulary. Hi Molly. So much to keep in mind when editing. The redundancy rule is fun to follow when editing by doing an auto-search for a word and seeing how many hundreds of times it was used in the first draft of a novel. Another thought that came to mind pertains to reviews of the novel entitled "All By Myself, Alone". On reading the title of the book, the first thing that came to mind for me was the title of an Irving Berlin song, or at least the lyrics. But reviews referred to the title as a redundancy. So one person's redundancy is music to another person's ears. I love your last point, Gail! Yes… writing is SO subjective, and while some rules are more rigid than others, there is always space for personal preference. I think if we are more mindful of our writing, we don't need to fret 🙂 The writing will flow without sacrificing our authentic voice. Oh yes… transitional words are very important in maintaining a fluid essay. It's funny how one small word or phrase can make such a difference. “Le mot juste” is something I need to work on. Being a non native speaker of English, it doesn't come naturally to me. Thanks for these tips.